Conceived in 1936; this bronze version cast by the estate of the artist in 1969. 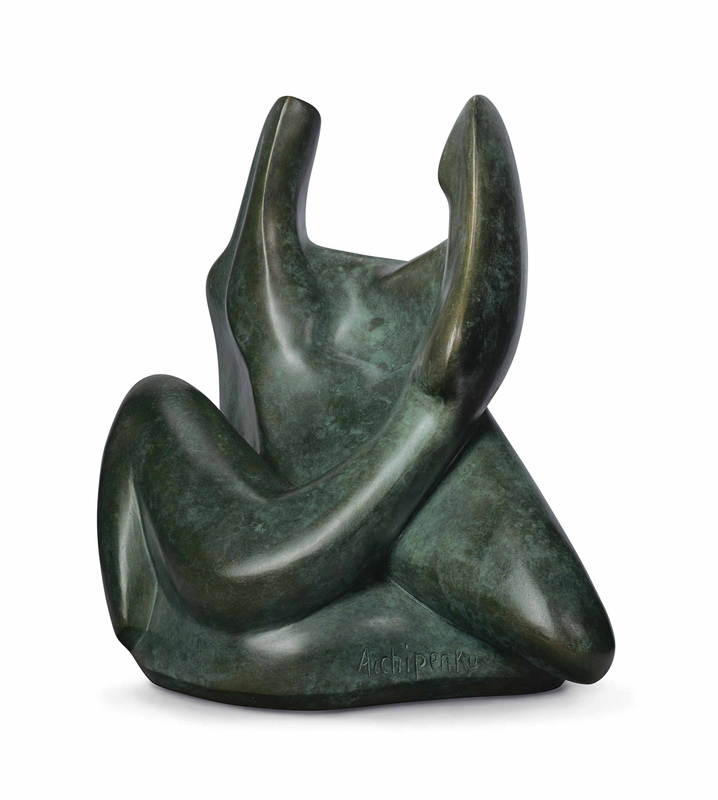 A. Archipenko, Archipenko, Fifty Creative Years 1908-1958, New York, 1960 (terracotta version illustrated, pl. 216). D.H. Karshan, Archipenko, Sculpture, Drawings and Prints 1908-1963, Danville, Kentucky, 1985, pp. 139-140, nos. 75-76 (terracotta version illustrated in color, p. 140; another cast illustrated, p. 141). D.H. Karshan, Archipenko, Themes and Variations 1908-1963, Daytona Beach, 1989, p. 28 (terracotta version illustrated, p. 29). Frances Archipenko Gray has confirmed the authenticity of this work.